We are pleased to invite you to join us for the launch of our new STEEReoCAM™ - the high resolution MIPI stereo camera with improved accuracy and depth range for NVIDIA Jetson Xavier/TX2 at our Booth # 1746 at GPU Technology Conference (GTC) - 2019, Silicon Valley, California, USA. Our experts would be meeting you at the booth and can assist you with any of your up-coming projects. Looking forward to meeting you at the event!!! We are pleased to invite you to our Hall 1 Booth 1A23 at the VISION 2018. e-con Systems exhibits at vision, Germany to showcase its expertise in Embedded Processor Modules, Reference Designs and Camera Solutions among others to the customers and offering cost effective solutions. Our SOM and Camera experts would be meeting you at the booth and can assist you with any of your up-coming projects. Looking forward to meeting you at the event!!! We are delighted to invite you to our Booth: 1018 at Vision Show 2018. Our Booth will not just host live demos but you could also get consultation from our embedded experts. We are delighted to invite you to our Booth # Hall 3 / 3-647 at embedded world Conference 2018. Our Booth will not just host live demos but you could also get consultation from our embedded experts. 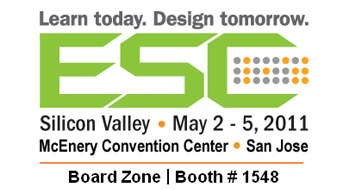 We are pleased to invite you to visit our Booth 1637 at Embedded Systems Conference (ESC) Silicon Valley, San Jose, CA. We would you like to present you our complete range of cameras, SOMs and Applications, especially GMSL USB 3.0 camera and most awaited upcoming Sony STARVIS CMOS 2MP MIPI camera for NVIDIA Jetson TX2/TX1. Below is a sneak peek into some of the live demos based on our latest products that are sure to interest you. Six e-CAM30_CUMI0330_MOD connected to NVIDIA Jetson TX1 kit over 2-lane MIPI CSI-2 interface via an adapter board. We demonstrate the capability of streaming six camera images utilising the six 2 lane MIPI CSI-2 interface. We shall demonstrate the most awaited upcoming Ultra low light SONY IMX290 Starvis MIPI camera for TX2. This 2MP camera board uses the NVIDIA Jetson TX2 on board ISP. We shall demonstrate the battery operated wearable camera device based on 13MP autofocus camera integrated with eSOMiMX6-micro SOM, streaming 720p at 60fps to Android/iOS devices. We shall demonstrate GMSL SerDes Technology Camera which can support upto 15 meters and can be used for ADAS or similar application. eSOMgears OTA Firmware Upgrade solution that provides reliable & secure upgrades to your embedded devices, over-the-air. Using cloud technology, eSOMgears remotely connects to the devices and updates the required firmware. e-CAM80_IMX7, an 8MP Autofocus MIPI Camera is based on OV8865 CMOS image sensor from OmniVision. 8MP Autofocus MIPI iMX7 supports 1080p (Full HD) at 30 fps and full resolution 8MP at 11 fps. We are pleased to invite you to visit our booth at Embedded Systems Conference (ESC) 2017, Boston, MA. We would like to present you our complete range of cameras, SOMs and Applications, especially See3CAM_CU135, most awaited upcoming 13 MP USB 3.0 camera. Our Booth will not just host live demos but you could also get consultation from our embedded experts. We shall demonstrate the battery operated wearable camera device based on 13MP autofocus camera integrated with e-SOMiMX6-micro SOM, streaming 720p at 60fps to Android/IOs devices. eRDA Remote Device Access Application is a cloud based software that enables you to access your embedded device in field. You can remotely view the device screen over a web browser and take control of the embedded device. We are delighted to invite you to our Booth # Hall 3A / 3A-136 at embedded world Conference 2017. Our Booth will not just host live demos but you could also get consultation from our embedded experts. We are pleased to invite you to our booth #1-B88 at the VISION 2016. e-con Systems exhibits at vision, Germany to showcase its expertise in Embedded Processor Modules, Reference Designs and Camera Solutions among others to the customers and offering cost effective solutions. Our Co-founder Mr. Ashok Babu and Camera products head Mr. Prabu Kumar would be meeting you at the booth and can assist you with any of your up-coming projects. We look forward to see you at this event. We are pleased to invite you to our booth 1079 at the Embedded Systems conference, 2016, Boston. 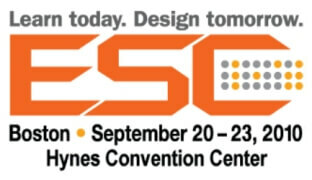 The Embedded Systems Conference (ESC) is the industry's largest, most comprehensive technical conference for embedded systems professionals in the U.S. Join your technical professional peers and embedded systems hardware, software, and firmware developers at ESC Boston 2016 to learn about the latest techniques and tricks for reducing time, cost, and complexity in the embedded development process. We would be meeting you at the booth and can assist you with any of your up-coming projects. We look forward to see you at this event. We are pleased to invite you to our booth #17 at the Embedded Systems conference, 2015, Boston. The Embedded Systems Conference (ESC) is the industry's largest, most comprehensive technical conference for embedded systems professionals in the U.S. Join your technical professional peers and embedded systems hardware, software, and firmware developers at ESC Boston 2015 to learn about the latest techniques and tricks for reducing time, cost, and complexity in the embedded development process. 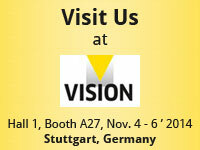 We are pleased to invite you to our booth #1-A27 at the VISION 2014. e-con Systems exhibits at vision, Germany to showcase its expertise in Embedded Processor Modules, Reference Designs and Camera Solutions among others to the customers and offering cost effective solutions. We are pleased to invite you to our booth #1137 at the Embedded Systems conference, 2014, San Jose. New Computer on module running Jelly Bean and Windows Embedded 2013. Our Co-founder Mr. Maharajan and Ms. Anitha (Manager -Marketing) would be meeting you at the booth and can assist you with any of your up-coming projects. We look forward to see you at this event. e-con Systems exhibits at TI Technology Day Saint Paul to showcase its expertise in Embedded Processor Modules, Reference Designs and Camera Solutions among others to the customers and offering cost effective solutions. 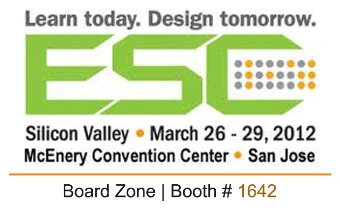 e-con Systems exhibited at ESC San jose to showcase e-con's expertise in Embedded Processor Modules, Reference Designs and Camera Solutions among others to the customers and offering cost effective solutions. e-con Systems is participating at embedded world 2013, Nuremberg - Germany to showcase e-con's expertise in Embedded Processor Modules and Camera Solutions among others to the customers and offering cost effective solutions. e-con Systems exhibited at TI Technology Day Orlando to showcase its expertise in Embedded Processor Modules, Reference Designs and Camera Solutions among others to the customers and offering cost effective solutions. e-con Systems exhibited at TI Technology Day Boston to showcase its expertise in Embedded Processor Modules, Reference Designs and Camera Solutions among others to the customers and offering cost effective solutions. e-con Systems exhibited at annual OmniVision Day to be held on Wednesday, March 09, 2011 in the Hotel Intercontinental Eros in New Delhi. e-con Systems exhibited at ESC Boston to showcase e-con's expertise in Embedded Processor Modules, Reference Designs and Camera Solutions among others to the customers and offering cost effective solutions. e-con Systems exhibited at ESC Chicago and displayed e-con's expertise in Embedded Processor Modules, Reference Designs and Camera Solutions among others to the customers with cost effective solutions.